Parkfield, Bournemouth’s only Free School, has appointed a new team of leaders to drive high standards in its primary school. Charlotte Goodrum is the new Early Years and Foundation Stage (EYFS) phase leader. Cass Claxton is the new Key Stage 1 phase leader, and Toni Wilcox has been appointed Key Stage 2 phase leader. All are current form teachers at the school in Christchurch Road. Phase leaders provide day-to-day leadership and management of teachers and support staff in their departments, as well as coordinating and leading development of the curriculum. Ian Golding, interim head teacher of Parkfield, said, “Our new phase leaders will ensure consistency of approach in teaching and learning across Parkfield. Toni Wilcox grew up in Ferndown and has been teaching Year 6 at Parkfield for two years, after previously teaching in Brazil and Dubai. She said, “I am incredibly excited about my new role and the new challenges it brings. The children at Parkfield never fail to amaze me with their positive approach to their learning, energy and inspiring ideas. 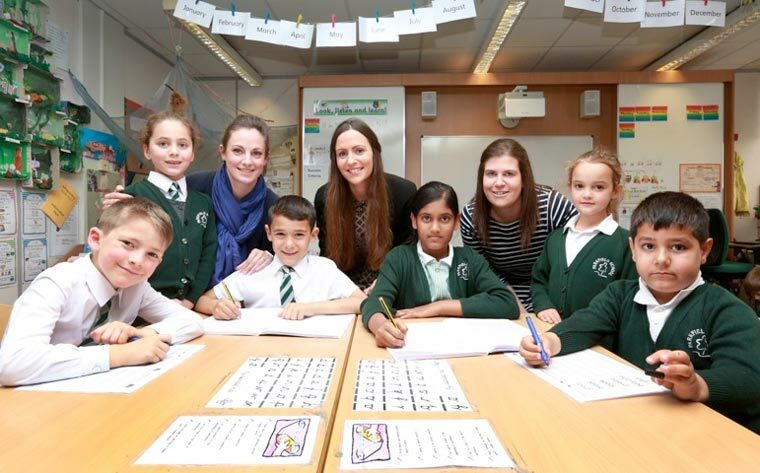 Charlotte Goodrum grew up in Dorset and joined Parkfield when it opened in 2013 as a newly qualified teacher (NQT). She now teaches the school’s Buttercups Reception class. Her new role sees her heading up Parkfield’s Early Years sector, leading a team of six teachers and teaching assistants. She said, “It’s a challenging role, but one I relish.